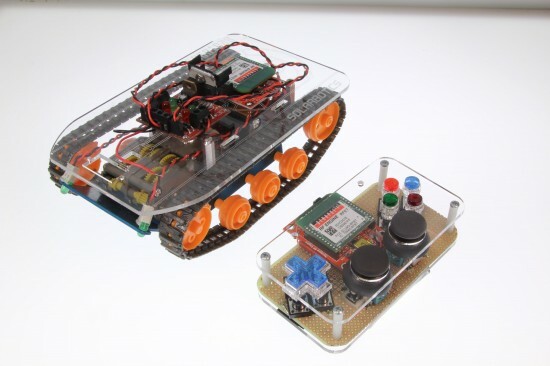 Here’s a blog post that will show you the setup you’ll need to make your own do-it-yourself radio controlled (RC) tankbot from the ground up. This example uses a few kits from Solarbotics to build your own RC controller, communication link, and tankbot using minimal parts. We even managed to get 250 feet of range out of the deal!